SUITABLE FROM 4 UP TO APPROX 6-8 YEARS OF AGE. 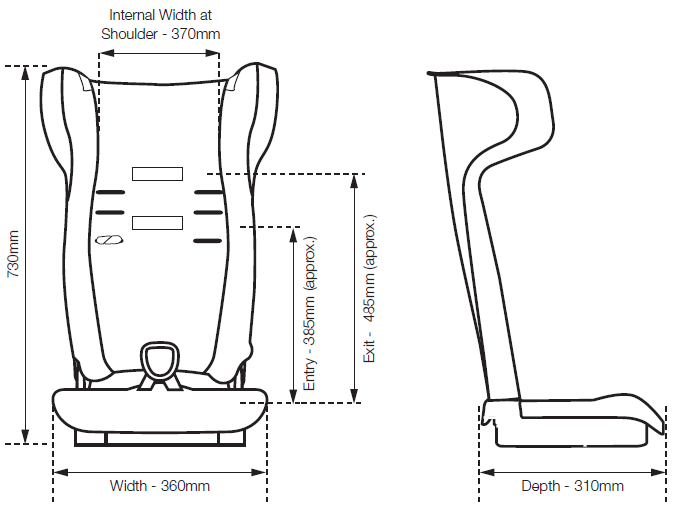 The Ezy Move booster seat is suitable for children who have out grown their seat with in-built harness (approximately 4 to 6-8 years of age) until they reach the upper shoulder height marker (approximately 6 to 8 years of age). Complies with Australian/New Zealand Standard AS/NZS1754:2013 and certified by SAI-Global. The Ezy Fit II™ Booster is suitable from 4 to 8 years of age approx. It features side wings for side impact protection and the removable cover is machine washable..